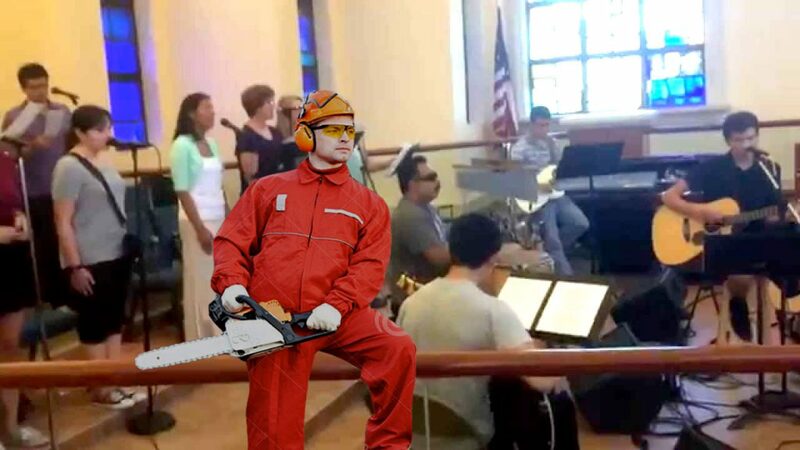 In a bold effort to make the liturgy more “modern” and culturally relevant, the music director at the local St. Dissonant parish has replaced guitars with ultra-midern chainsaws. Parishioners seem to be taking to the culturally-relevant music well as attendance is booming. Not all in the congregation are happy about the move. A liturgical dancer who wished to remain anonymous said that the chainsaws detracted from the reverent ambiance.